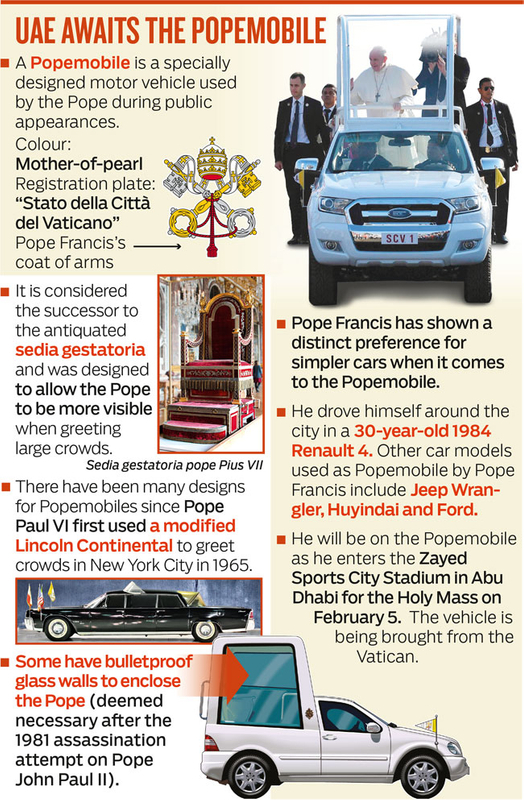 Dubai: Wherever the Pope went, the popemobile was there. And so will it be in Abu Dhabi next week. Fr Lennie J.A. Connully OFM Cap, Parish Priest of St Mary’s Catholic Church in Dubai, said that Pope Francis will be on the popemobile as he enters at the Zayed Sports City Stadium for the Holy High Mass on the morning of February 5. 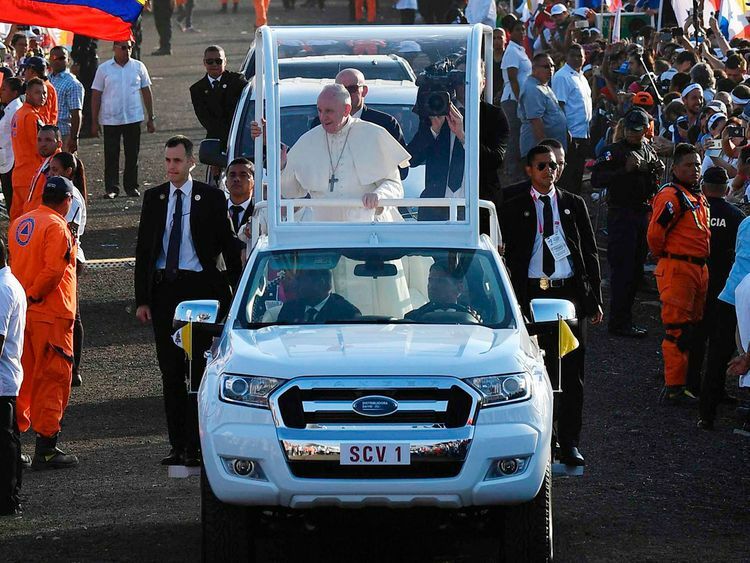 The specially-equipped vehicle is used to transport the pontiff at various public appearances for security reasons. “It is confirmed. The popemobile is being brought from the Vatican,” Fr Lennie told Gulf News. Pope Francis often makes a few stops during his public appearances to bless infants and children. That may not be possible here, Fr Lennie said.